Which Android Smartphone Is The Easiest To Hack And Modify? Android smartphones are pretty dang popular, there’s no denying that. And when something becomes that popular, there are plenty of people who would just love to hack, tweak, and modify everything and anything out of those phones. They’ve been successful too, as people who are active in the Android community hear a lot about rooting phones and installing custom ROMs onto them. Indeed, Android phones are very tweakable and customizable, even in their stock form without any “hacks”. But for some of us, we don’t care if they’re customizable right when we get them, but instead we want to unlock their complete power to do everything we want them to. Almost all Android phones have a way of being rooted. Rooting is the process in which you usually exploit a security hole in the Android operating system or use some brute force attack to gain administrative privileges. Once a person has administrative rights, they can change deep system settings and files — something that is restricted when you first get the phone because the manufacturer and carrier don’t want you to mess up your phone accidently. However, if you go so far as to root your phone, you’re not doing anything accidently, so no worries there besides a voided warranty. Anyways, if you can change system files and hardware settings (such as the CPU frequency — that’s why CPU governing apps require root access to run), you can modify just about everything you could possibly want — you now have pure hardware in your hands which you can do whatever you want with. Some people want to root their phones because they want to be able to use such apps like a CPU governor, and keep the stock operating system on their phones. With root access, some people have been able to install entire Linux distributions onto their phones as an additional operating system while Android is still present, as you can see in the video below. 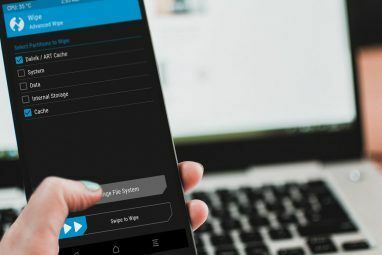 However, most people who root their phones will tend to install a custom ROM like CyanogenMod How To Install CyanogenMod On Your Android Device How To Install CyanogenMod On Your Android Device A lot of people can agree that the Android operating system is pretty awesome. Not only is it great to use, but it's also free as in open source, so that it can be modified... Read More . 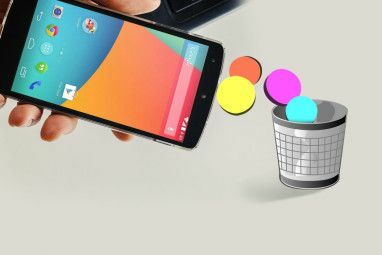 These custom ROMs give the user full control over their phones and enable some advanced features settings to tweak performance and other characteristics. Additionally, they can also use all apps that require root permissions to run, so these people really get everything they want. So Which Phone Is The Easiest To Hack and Modify? 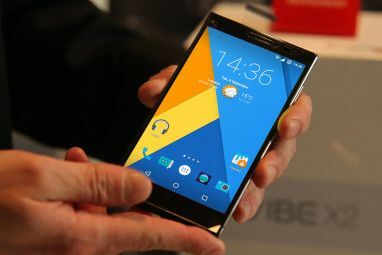 Generally speaking, there are plenty of phones which can be rooted and custom ROMs installed. Just look at CyanogenMod’s support devices list — it’s quite massive for comparable projects. However, for some devices you may have to go through more hoops than others, while others simply don’t have enough users to be actively supported. So which phone really is the best one to mess around with? The answer is simple: Google’s developer phones. These phones are meant to be used for app development and testing, and to run the latest and greatest version of Android. Essentially, these phones are purely the Google experience, and don’t come with any extra baggage from the manufacturer or carrier. When Google contracts a manufacturer to make these phones, they make sure it’ll have more than enough hardware to run whatever app or game you’d like. Additionally, as they are developer phones, most developers will have them, so rooting tutorials and custom ROMs will show up for them before any other device. It’s been that way ever since the first developer phone — and first Android phone — was introduced, the HTC Dream, also known as the T-Mobile G1. And to this day, it still continues, even with the latest developer phone, the Samsung Galaxy Nexus. If you happen to pick up one of those, you can easily hack away to your heart’s content. What’s your favorite phone? Do you usually root your phone or do you keep it as is? Let us know in the comments! Explore more about: Android Rooting, Custom Android Rom. my Indian Reliance 3G Tab (Zte-V9C) phone. All normal ways available on net Zt root etc. has failed. 3G Tab and put the entire procedure with links to the 3 software required, but has removed the source. Question, rooting android will loose the manufacturer warranty? In case I didn't mention it in the article (I thought I did), then yes, most likely. Which is a little dumb because it's software you're changing, not hardware, but oh well. Can anyone get a developer phone? Yes anyone can get them. They may not be the cheapest phones, but they're open to everyone. It's the Motorola Defy for me. CynaogenMod 7.1 made life super easy and lightening fast. Infact, one of the prime reasons for buying this phone was the level of tweaking it could take. If i root my Virgin Mobile Motorola Triumph, is there any way i can switch the carrier from virgin mobile to sprint considering sprint owns virgin mobile? I'm not sure if you can, but if you find out that you do, it won't be because you rooted your device. Rooting sadly doesn't unlock the device to any carrier. Thanks for the links. I had thought of having my first Android (Samsung Captivate) rooted when I got it a while back but never did because I didn't know enough about it. With my second one (LG Thrill), I've not given it much thought but I will look at the article on what I can do with a rooted phone and might just do it this time around. You know, if you still have your Samsung Captivate, then you can go ahead and root that one so you can experiment with rooting which keeping your regular phone untouched. HTC, if you are reading this please discontinue the Wildfire S you messed that bad boy up! Hope to root my phone soon. Ok so besides the developer phones...? It really depends on the phone. There isn't really a general rule that "Phones from Company X will be easier to root, hack, etc." It's hit and miss for the most part. You can always look at the XDA Developers forum and CyanogenMod to see which phones have the most support.